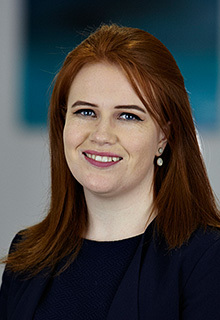 Laura is the most recent addition to John Casey & Co Solicitors, joining the firm in 2019. She has previous experience both domestically and internationally, having spent some months with an Australian criminal law practice in 2014 after concluding her academic studies in 2013. She later undertook a voluntary position with a local general practice in her hometown in 2015 and secured her traineeship with a well known mid west legal practice in 2016. Laura’s experience is predominantly in litigation, particularly Family Law, Personal Injuries and Criminal Law. She has assisted and appeared before the District, Circuit and High Courts. In her spare town, Laura enjoys travelling, attending live music events, volunteering with animal rescue shelters and has a keen interest in GAA. She is a passionate Galway hurling supporter.